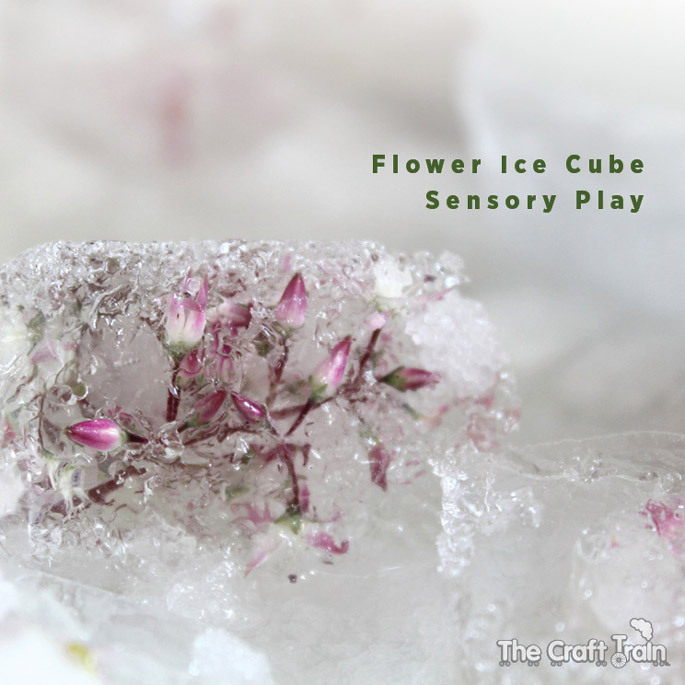 While all you lovely people in the northern half of the world are rugging up and preparing for the chilly winter weather, here on the outskirts of Western Sydney the heat is really ramping up a bit – perfect for some flower ice cube play! To do this activity you don’t need much, but warm weather is best and fresh flowers and leaves are a must. To do this you first need to go out into the garden to pick some flowers. 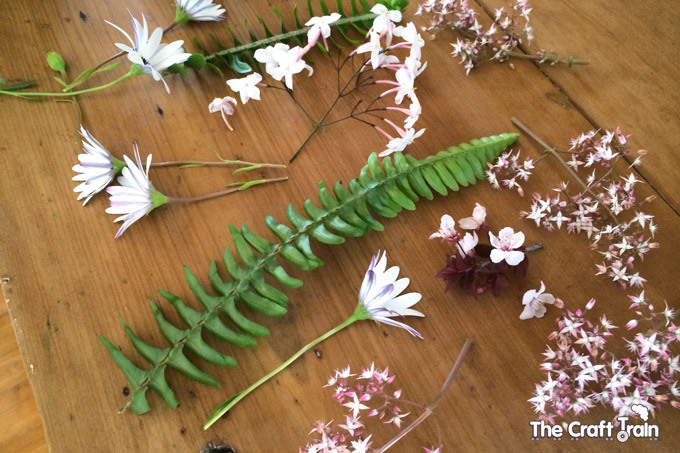 We picked some spring daisies, gorgeous jasmine flowers, blossoms and fern fronds. 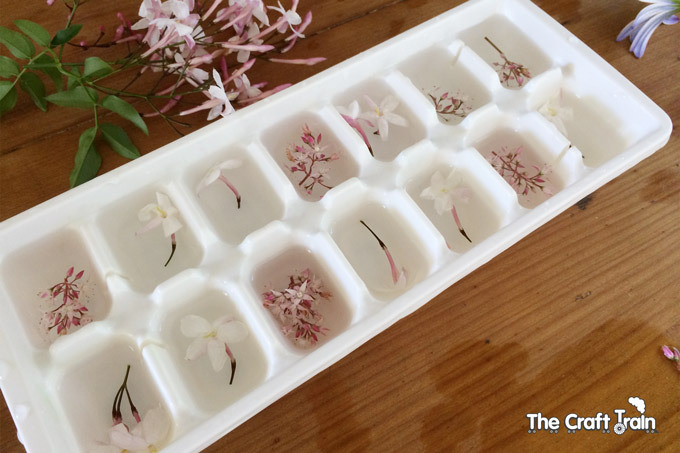 Miss K thoroughly enjoyed helping me trim the flowers down to the right size for popping into the muffin tray and ice cube tray. 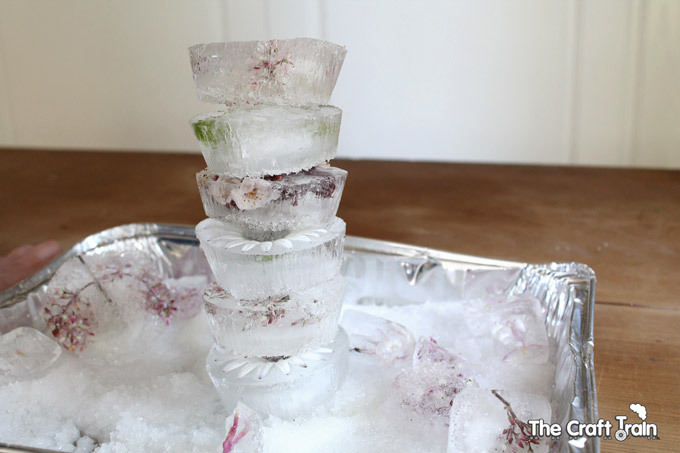 She then topped each one up with some water and we put them into the freezer for later. 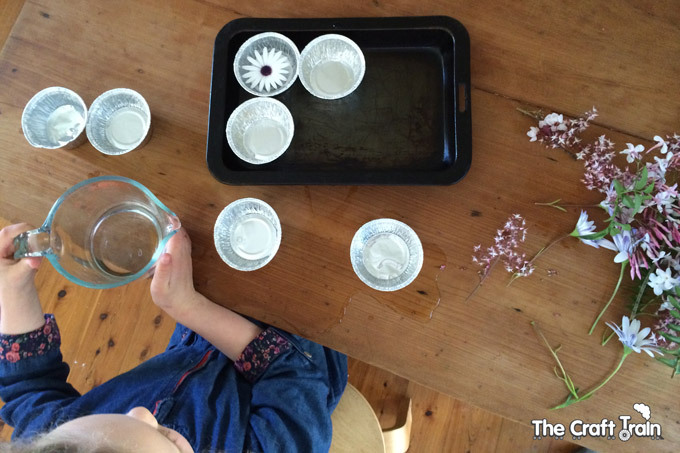 Once the water had turned to ice we took the trays out of the freezer for play time! We used a tray with salt in the bottom for a base, which is an interesting experience because salt water has a different freezing temperature to ordinary water (it needs to be colder) and the salt helps to melt the ice a little and makes it less slippery so that the cubes are more stackable for play. Miss K stacked the ice cubes and pretended that the salt was snow. She loved how cold it felt. 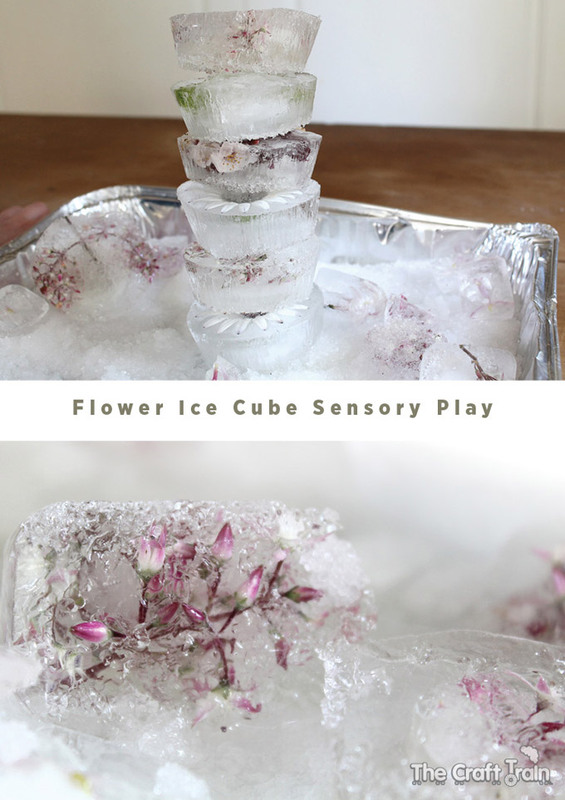 The effect of the frozen flowers was interesting, and Miss K really loved this activity and played with it for quite a while until the blocks were all half melted. She wanted me to put the tray back in the freezer when she was done and we had to leave to collect her sister from school, hoping to get it out again the next day for more ice cube play. When I put it back in the freezer the salty water in the bottom of the tray stayed as liquid slush and did not freeze. I think we’ll be doing this again! For more fun sensory play ideas visit my messy fun board on Pinterest. 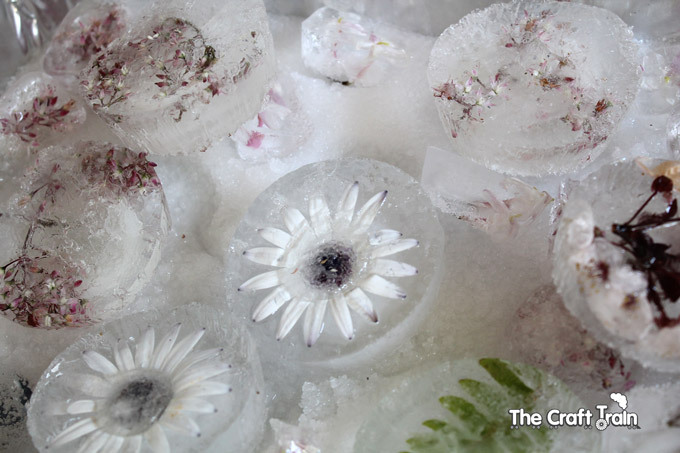 Those flower ice blocks are just gorgeous! What a lovely activity! Your images are just beautiful Kate. I adore this post. 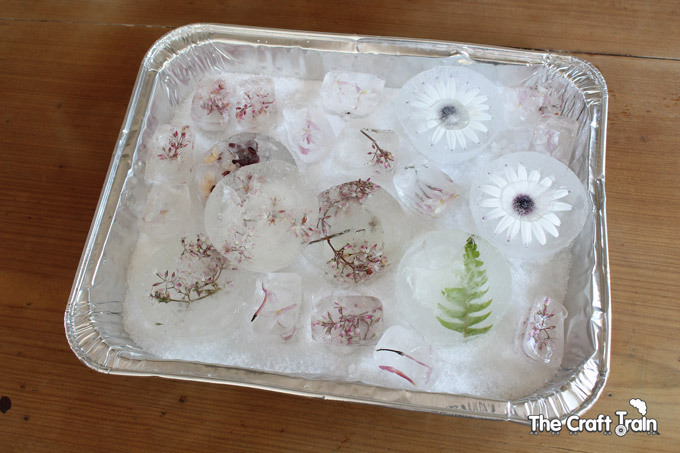 We love freezing things in ice… and what a fab idea for all the spring flowers! Pinning! 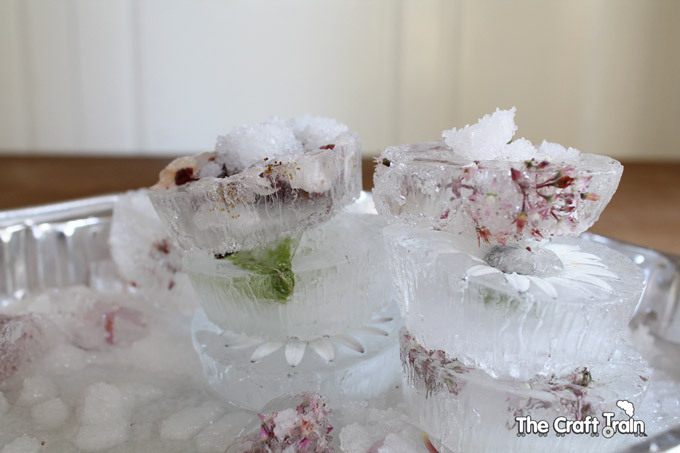 This is beautiful, we will certainly be trying this as the Summer heats up! These are so pretty! 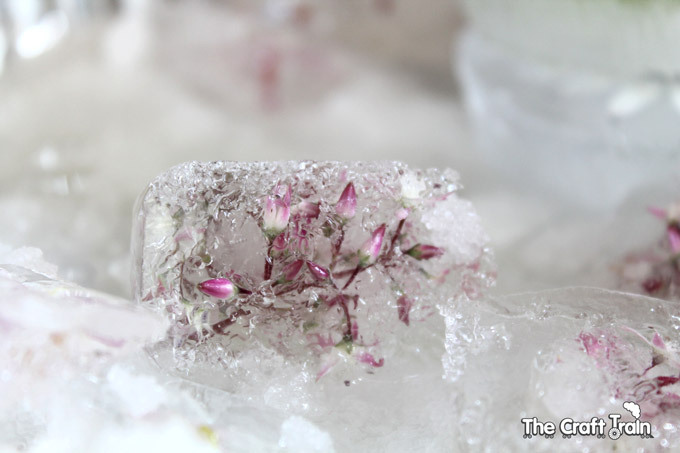 During summer we hid things in ice but never flowers. The kids had a blast ‘rescuing’ whatever we hid in our ice. I really like the flower idea and will pin so that we can do when spring and summer roll back around!